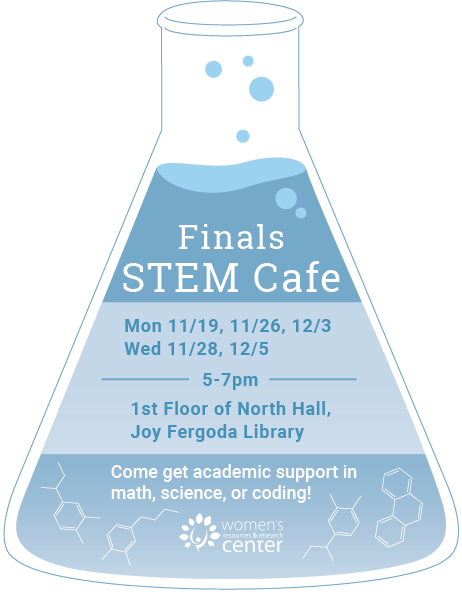 STEM Café is a free tutoring program hosted by the Women’s Resources and Research Center (WRRC) that seeks to create an inclusive space for womxn, trans*, nonbinary, and gender expansive scholars to receive support in Math, Chemistry, and Coding. 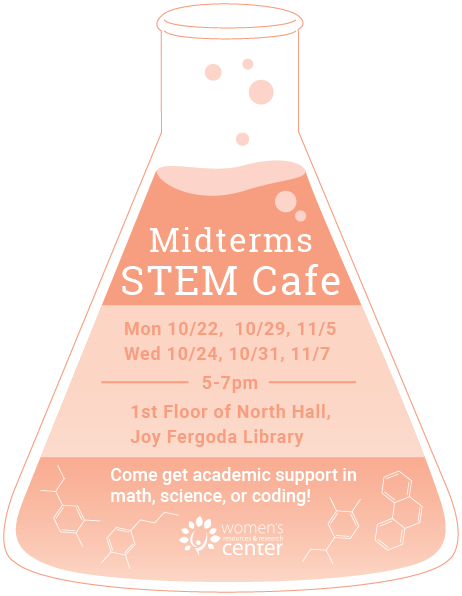 STEM Café meets in the Joy Fergoda Library (North Hall, 1st Floor). The WRRC provides refreshments, and math graduate students, professors, and upper-division students volunteer their time to answer questions.